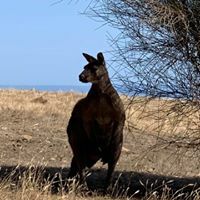 Minutes from the mainland but a million miles away, Kangaroo Island is a sanctuary for wildlife and natural, rugged beauty. Over a third of the island is protected in nature reserves, home to native wildlife like sea lions, koalas and diverse bird species. In the west, Flinders Chase National Park is known for penguin colonies and striking coastal rock formations, like the sculpted Remarkable Rocks and the stalactite-covered Admirals Arch. *Return airfare from Adelaide to Kangaroo Island is included in the price below.